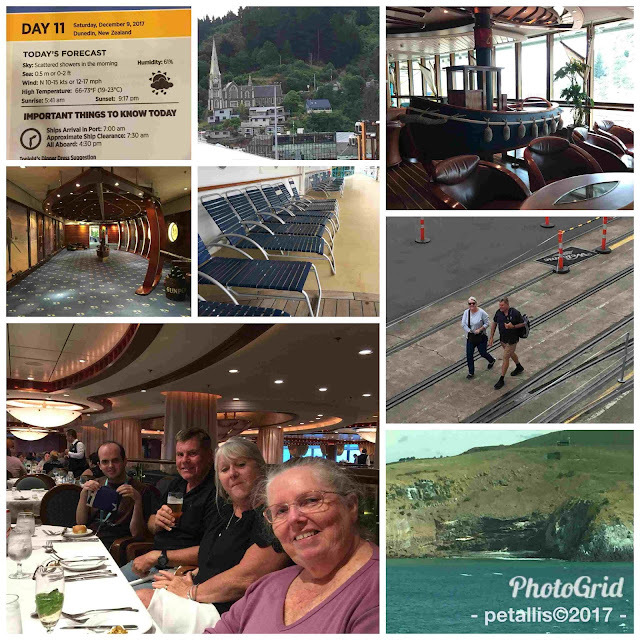 The following day, Day 11, the ship docked at Port Chalmers for tours to Dunedin. There were no buses put on by the local council for cruise passengers, so the ship charged $15 return to drop passengers off in Dunedin. Marg and Steve's booked tour was great and we will do that next time. 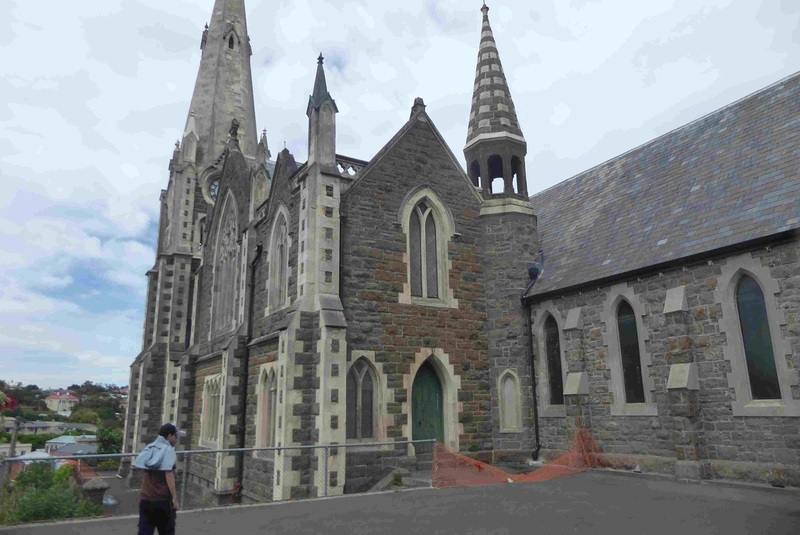 They booked it in Akaroa and paid for it at Port Chalmers when boarding. $99 each and it was a whole day including the Scottish Lanark Castle. Well worth the money. Peter and Jonnie had a walk around Port Chalmers. 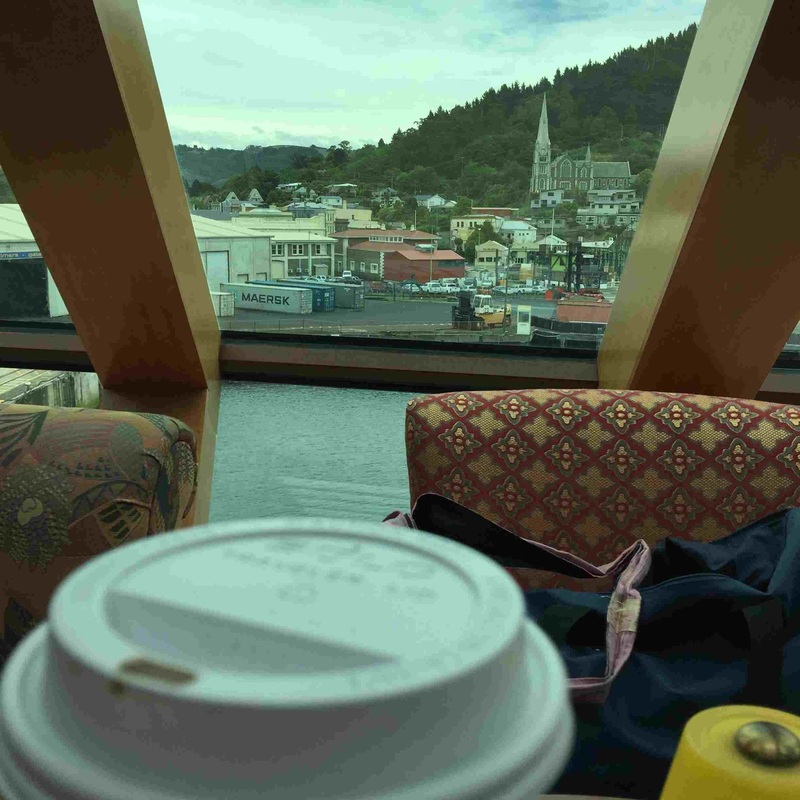 I stayed on board and enjoyed the view of Port Chalmers from the Colony Club. Staying on board when most passengers get off is great and one can get good photos of the ships different areas - without people! 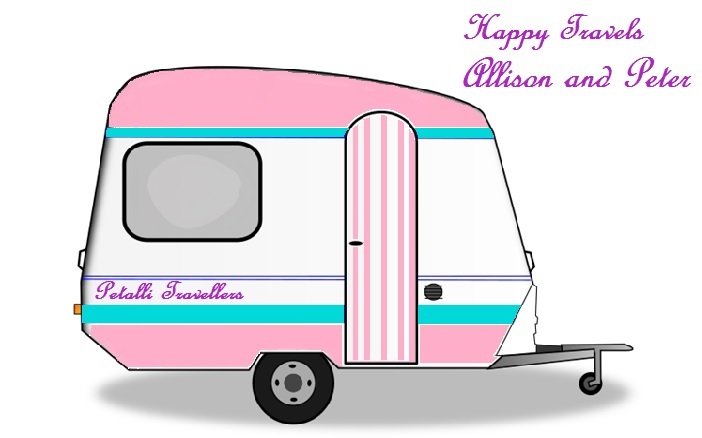 The town was founded in 1844, and settlers started arriving around 1848. It is named after Thomas Chalmers, the Free Church of Scotland leader who died in 1847. The first frozen meat from New Zealand to the northern Hemisphere was from Port Chalmers in 1882. 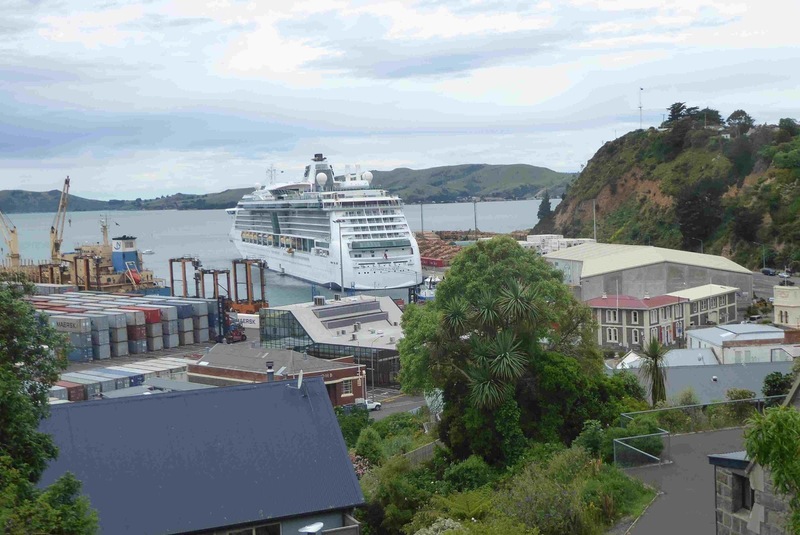 The Victoria Channel was dredged to make it suitable for container ships and in 1977 Port Chalmers became the South Island's deep water container port. 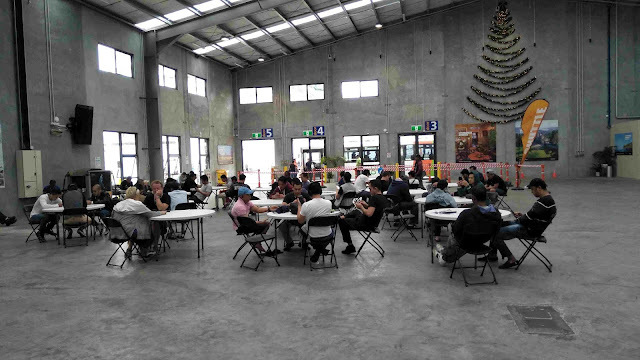 The passenger terminal had fast internet, and tables were set up for passengers to use.